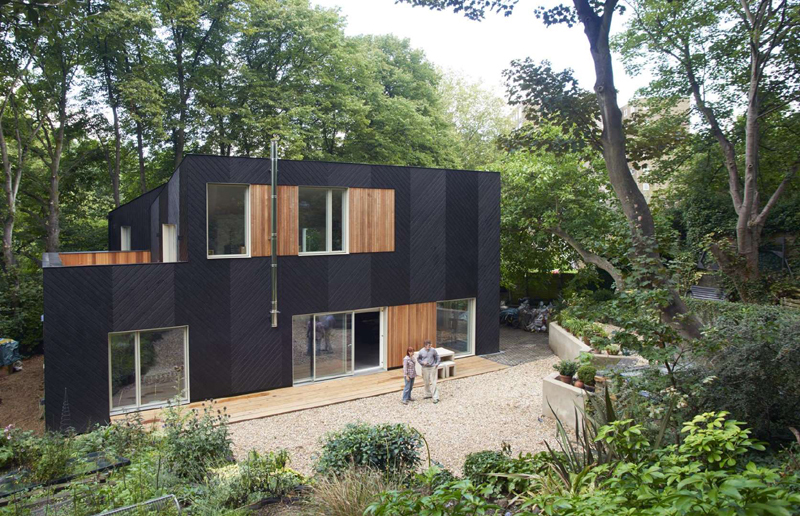 When self builders Terry and Mickey Green purchased their Victorian end-of-terrace house in 1991, one of the key attractions was the large patch of land that came with it. “Mickey is a silk and print maker, so we were able to build a studio for her on the garden site,” says Terry. 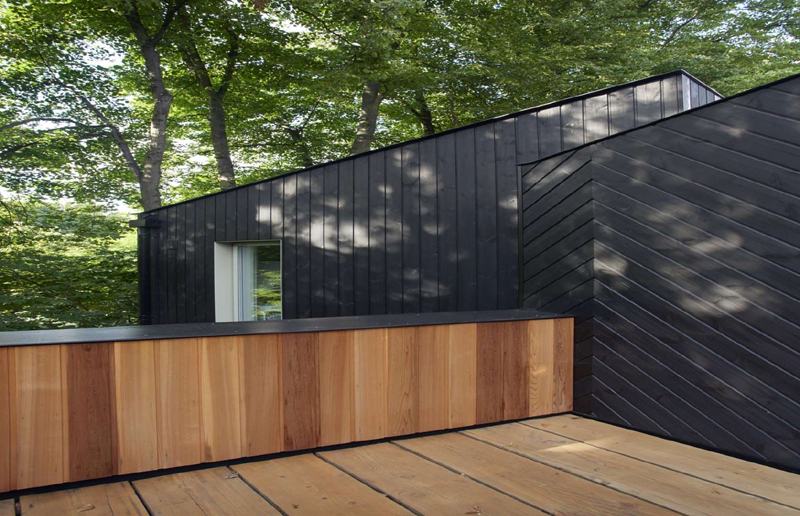 However, after working in the newly-erected studio for some years, the couple realized how much potential their garden plot had to create a permanent dwelling. 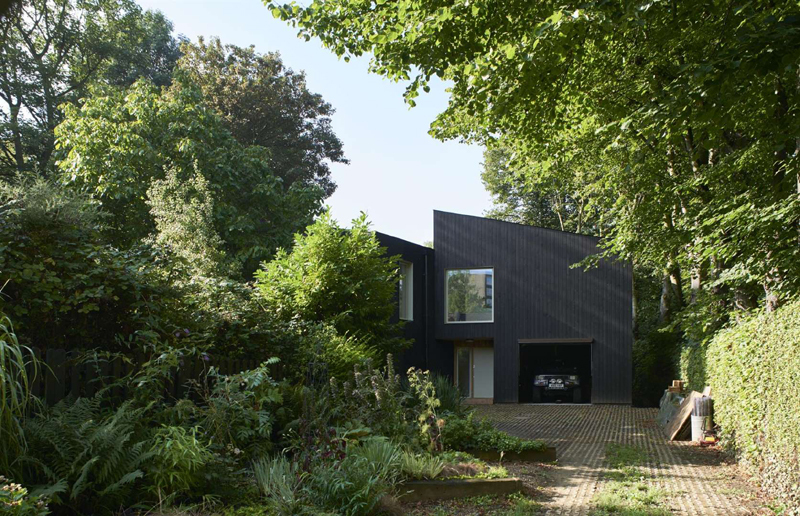 The couple harbored their self build fantasy for 25 years, held back by the site's narrow access and the belief that they’d never get planning permission. However, when they learned about package home provider Facit Homes, they decided to put their plans into action. 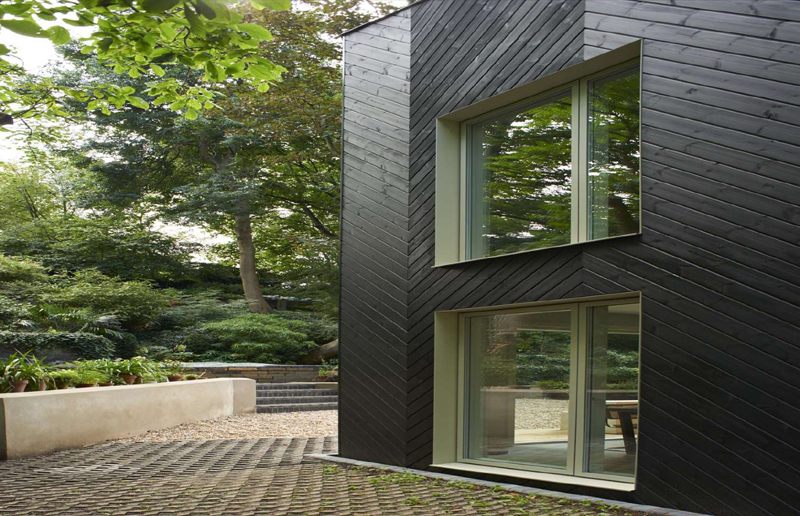 "Here was a firm building with engineered wood, using computer-controlled building methods,” says Terry. 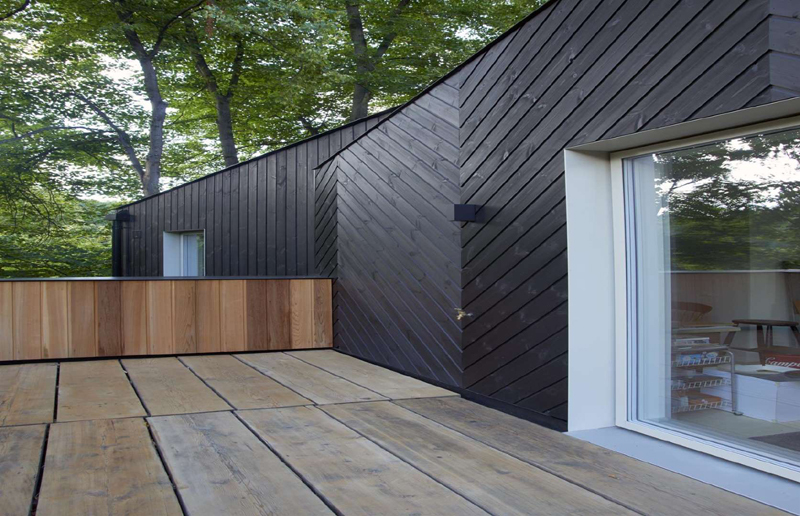 Best of all, the company's homes are built from individual components that can be easily transported, helping them to overcome any access issues on their skinny plot. Terry and Mickey reached out to Facit Homes, and Bruce Bell – architect and managing director of the firm – came to visit the site. “He said it’d be possible to build here, and that’s when it all kicked off,” says Terry. However, to create an energy efficient home on the awkwardly-shaped site, they needed to demolish the studio they’d built back in 1992. 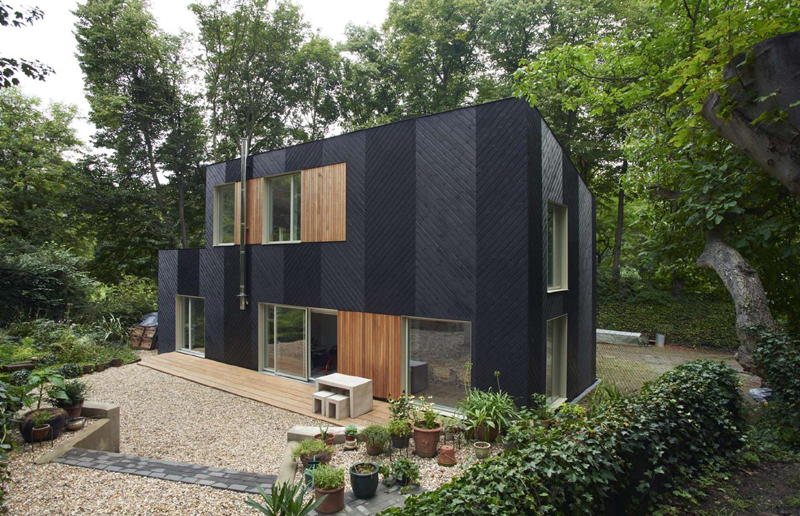 “We wanted something high-tech, well-insulated and very eco-friendly with low energy costs,” says Terry. The design went through several rounds of alterations, and the couple sourced a variety of inspirational pictures from Pinterest to convey what they wanted to Bruce. “We went for a design where the house would be built on the flat so we’d be looking out onto the garden like a kind of amphitheater." Terry and Mickey’s proposed design for the new house sailed through the planning process without any issues. Construction began in late 2015. 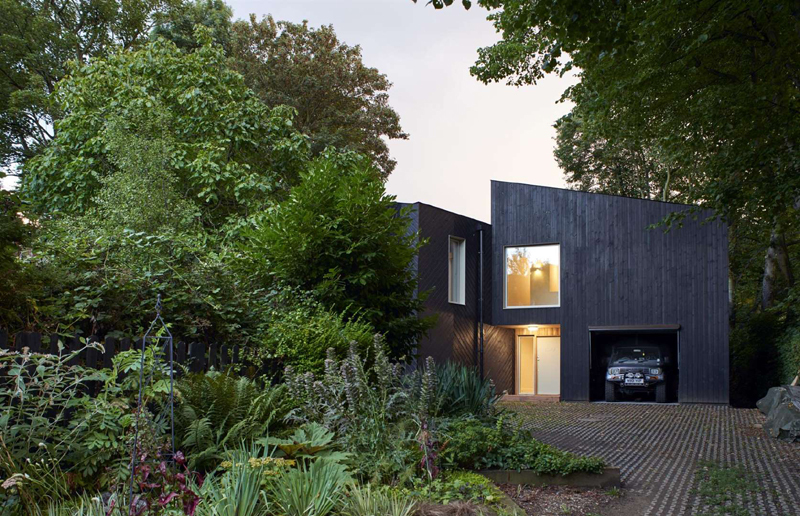 The project progressed through the groundworks phase and shell erection so swiftly that the property reached wind and watertight phase within eight weeks. 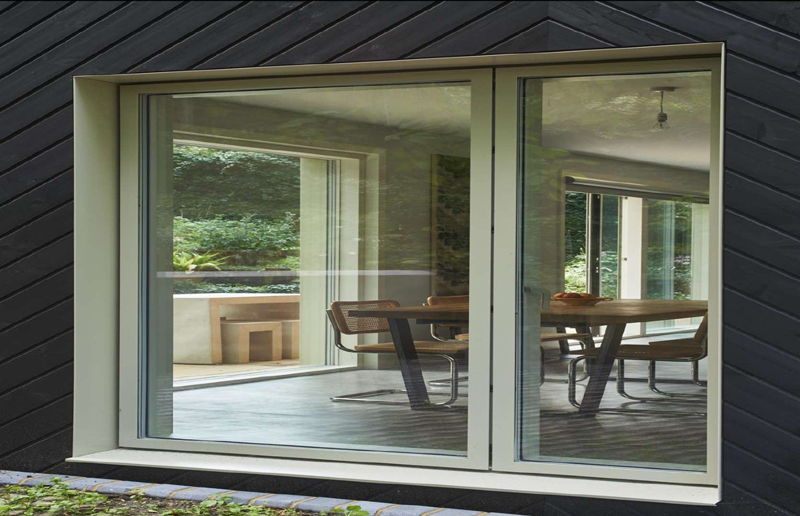 “Facit constructed the chassis, leaving holes for the doors and windows. 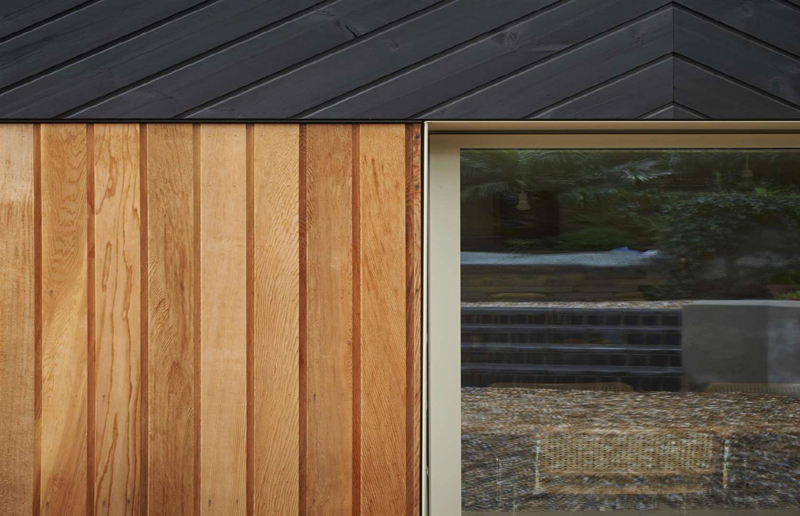 Then they clad it with a waterproof membrane, before putting the waterproof rubber membrane on the roof,” says Terry. For Terry and Mickey, creating an energy-efficient house was important. “The walls are deliberately thick, so we’ve got 300mm of insulation in there,” says Terry. 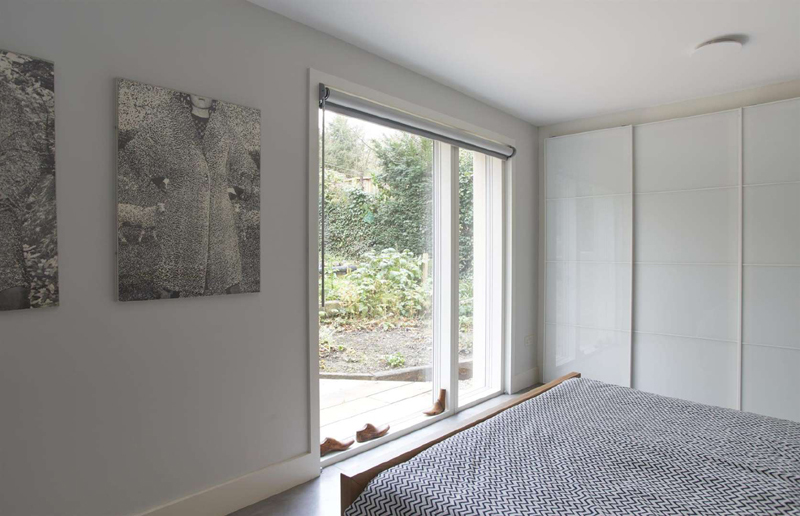 “It makes the place look like a castle!” Packing in this protective thermal layer has allowed the couple to make significant savings on their energy bills since moving in. “In our old house, which was half the size, gas and electric bills were about $1,541 per year. Since moving in here, our costs have come down to $822 per year." 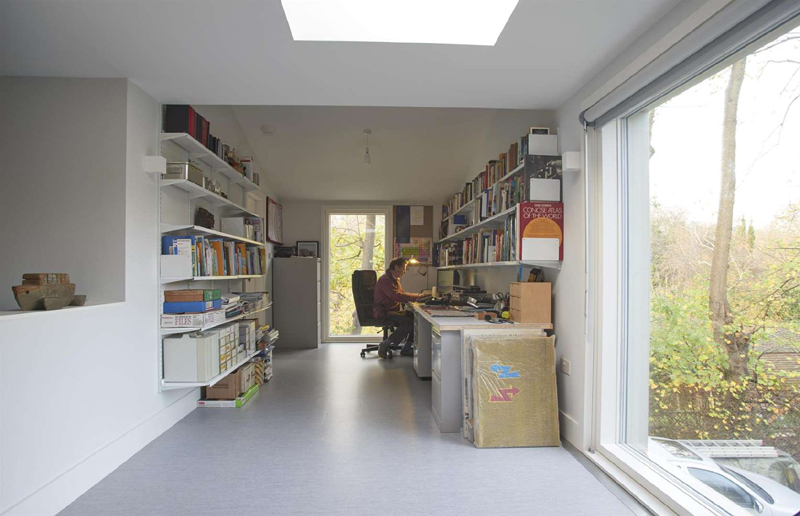 Keen to keep the property’s working and living areas separate, Terry and Mickey opted to position the studio and office on the first floor of the house. However, this presented the pair with some interesting structural challenges. “The equipment for the print room is very heavy, and normally it’d be situated downstairs on a concrete floor,” says Terry. Instead, they designed a supportive steelwork structure and used engineered wood beams to hold the extra load. 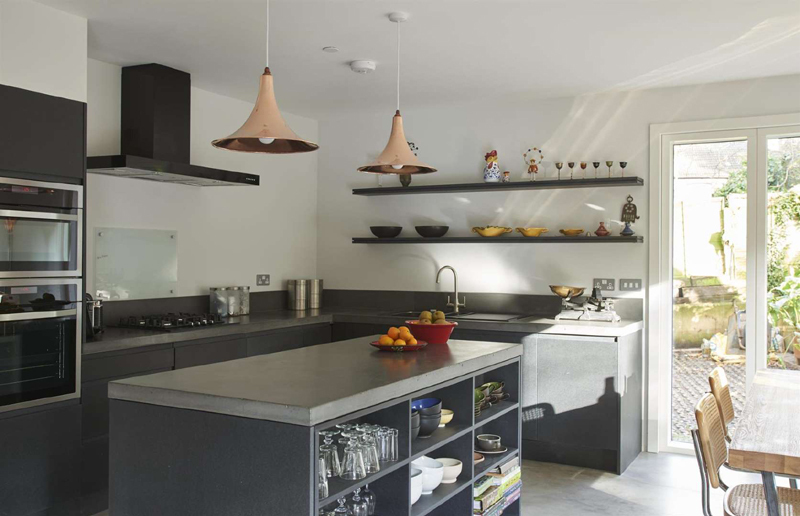 The open-plan kitchen-living-dining zone has been kitted out with contemporary fixtures and fittings. Sleek, handleless units and a central kitchen island enhance the modern aesthetic. The placement of the furniture was something Terry and Mickey planned at the initial design phase of the project. “Spending time at the design stage really pays dividends later on, because you get down to a fine level of detail where you’re decided where all the light switches and plugs will go,” says Terry. 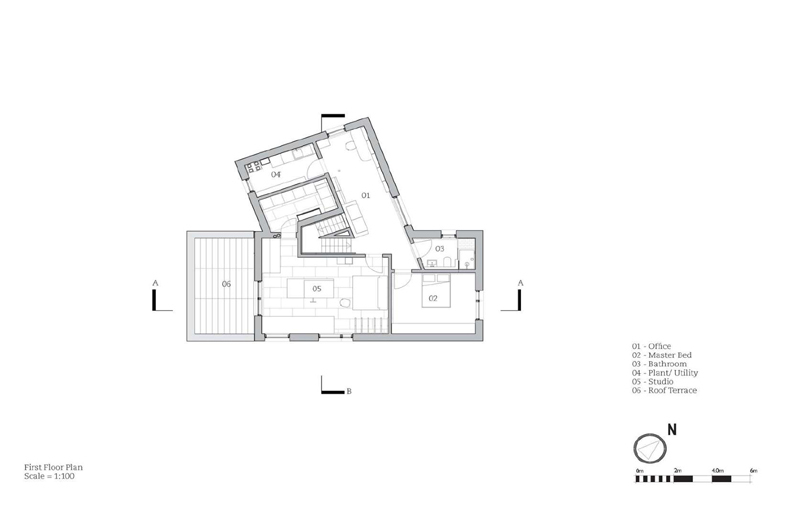 The couple chose all the fixtures and fittings for the project based on recommendations from Facit Homes. “They’d tell us that the following week, for instance, we were going to plan our bathrooms and kitchens. They’d ask us to go to these shops and look at these types of products,” says Terry. 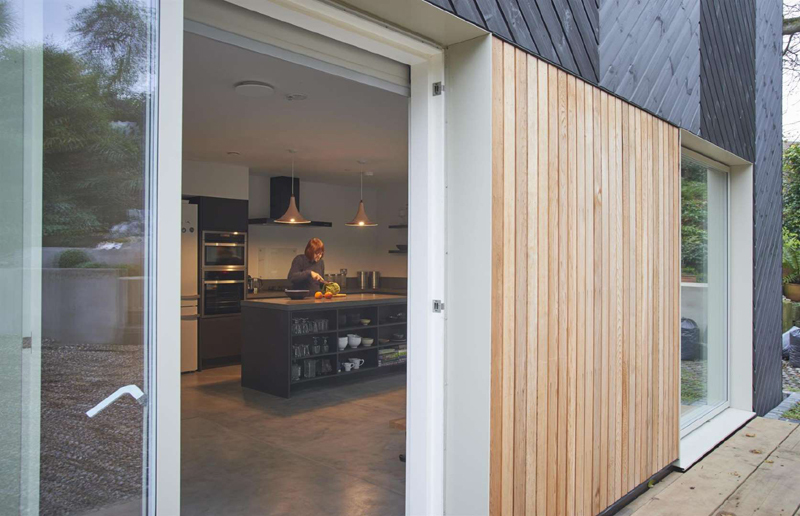 “We’d go and shop around to settle on what we wanted, then go back to Facit Homes the following week for a design meeting." While Terry and Mickey liked the clean, industrial look of concrete for the flooring, they wanted a finish that would offer a little more warmth underfoot. 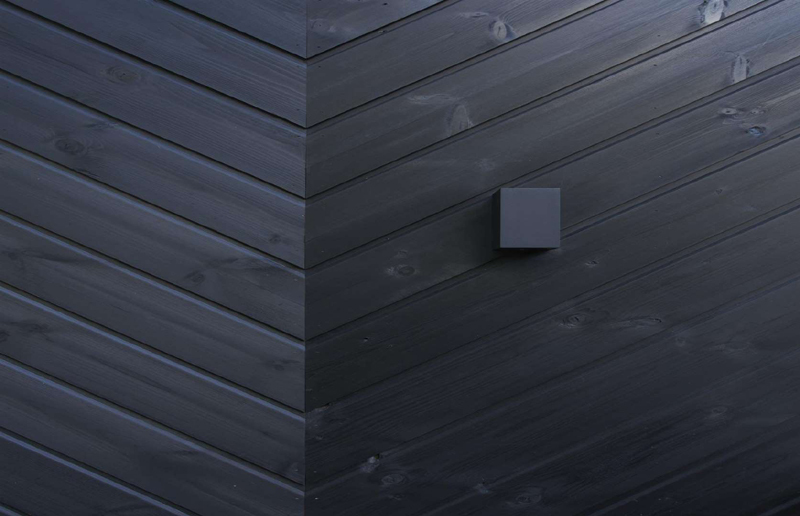 “We went for this product that comprises a plywood base with a resin concrete surface. 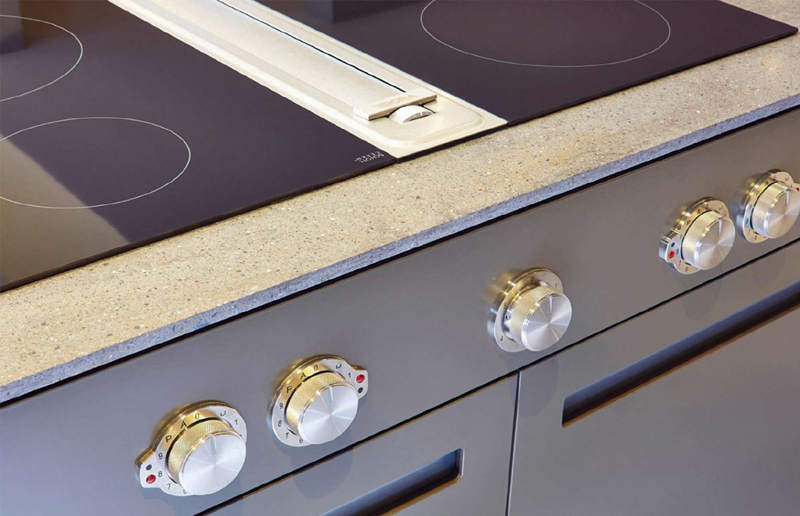 It looks like concrete but feels like wood, and offers a similar warmth,” says Terry. 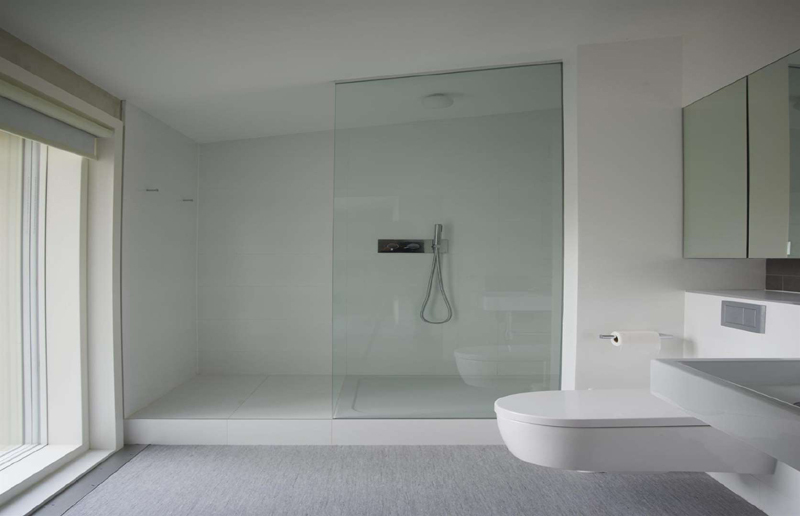 The couple opted to have large format sheets of the flooring installed rather than having each unit cut into smaller tiles, creating a seamless effect. 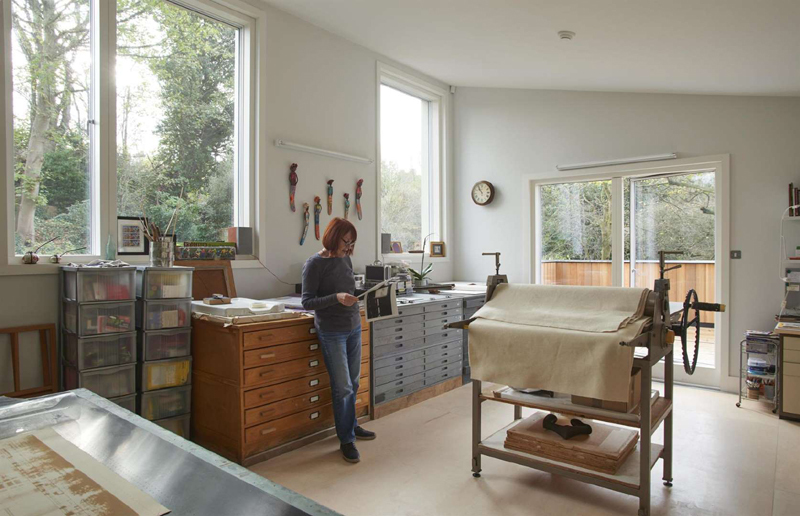 Printmaker Mickey’s professional studio is situated on the first floor of the house. Large windows flood the space with natural light, while glazed doors lead out onto the roof terrace where the couple can enjoy the outdoor dining area and views across the park. 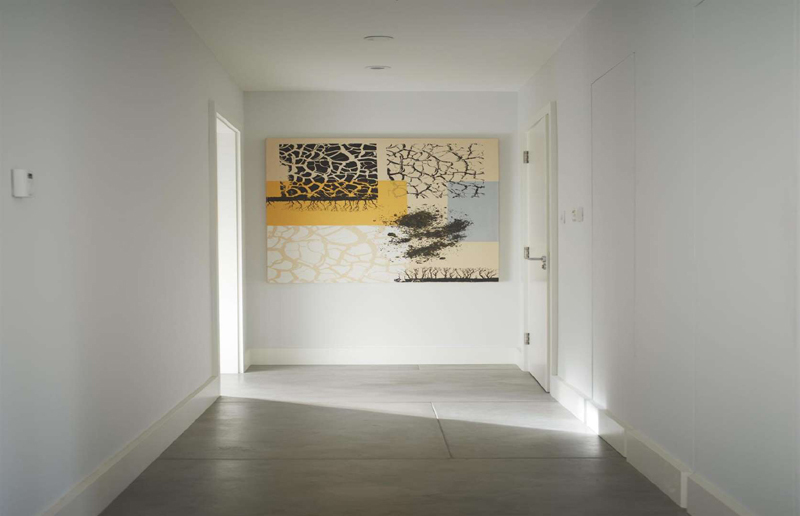 While the couple have opted to keep the decorative scheme and color palette crisp and neutral, various pieces of artwork have been positioned throughout the interior to introduce brightness and personality. Vents in the ceiling are part of the mechanical ventilation and heat recovery (MVHR) system, which Terry is very pleased with. 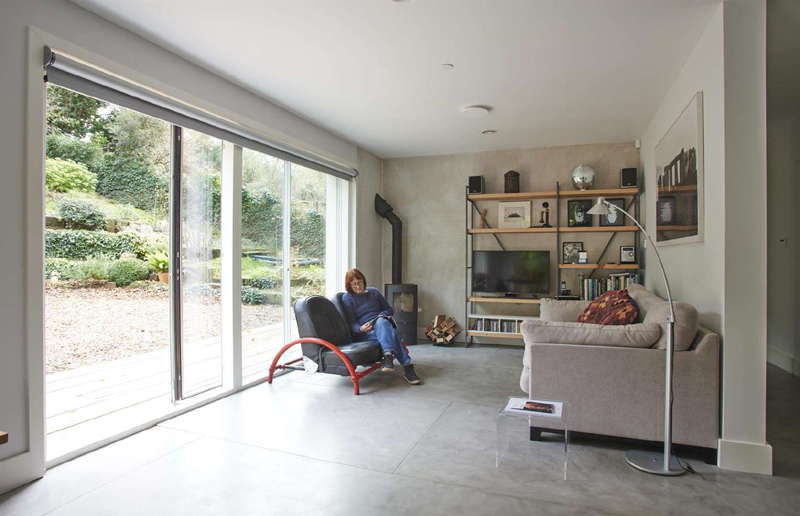 “On the technical side of things, the element that I love most about the house has turned out to be the MVHR,” he says. 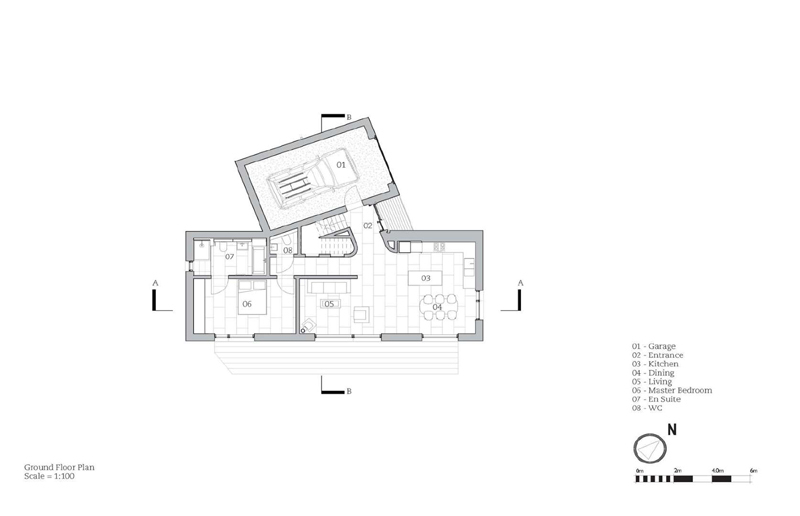 Like the kitchens, each of the bathrooms was planned in great detail at the initial design phase of the project. 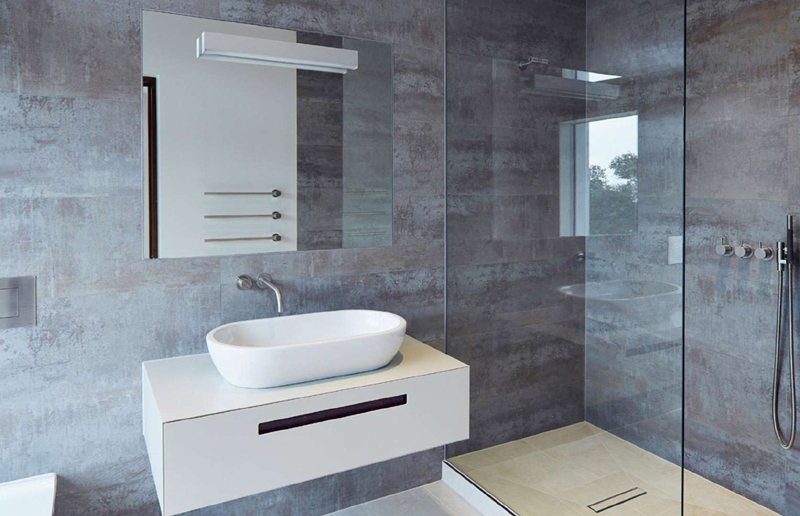 A wall-mounted toilet and sink keeps the aesthetic sleek and uncluttered, creating the illusion of more space as the floor finish can run right up to the walls. 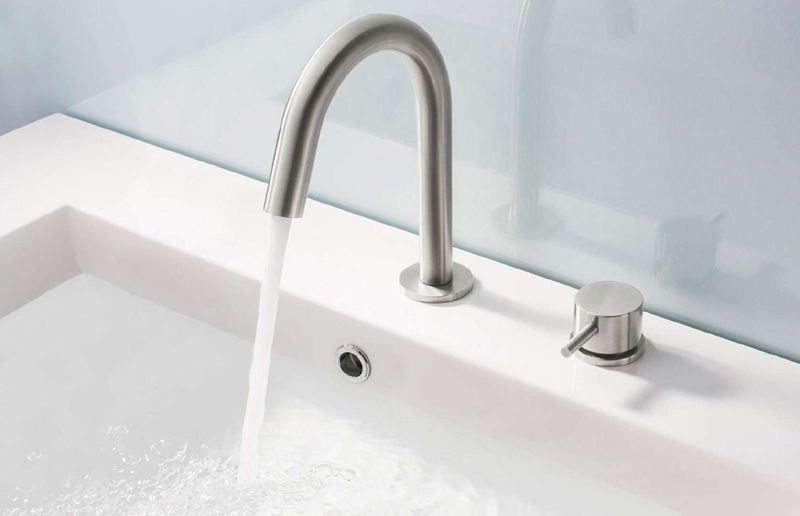 This streamlined bathroom tap was chosen by Terry and Mickey during one of their many design meetings. 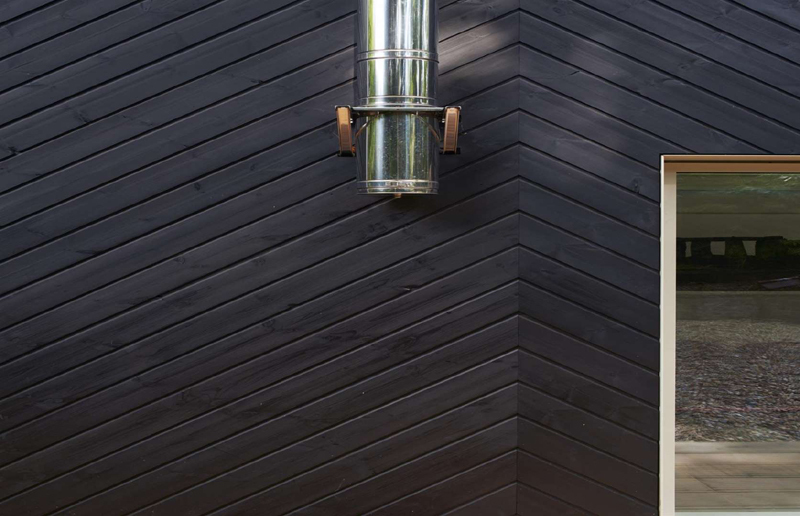 Even though each of these tiny details was specified at such an early stage in the project, there’s still very little that the couple would change about the finished house. “We should have had a drain outside the house for any water to run away, plus an outside switch for the light in the front porch. All the major stuff is perfect as it is," says Terry.